University reveals WWI archive Jump to media player Thousands of photos from WWI held by the University of Birmingham are digitised for a series of exhibitions to mark the war's centenary. 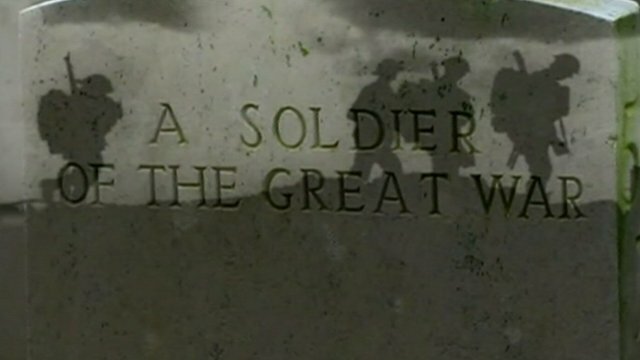 Boost for Welsh WWI Flanders memorial Jump to media player The campaign to build a Welsh World War I memorial in Belgium has received a major boost, as the First Minister Carwyn Jones says the Welsh government will contribute up to £25,000. Thousands of photos from WWI held by the University of Birmingham are being digitised so they can be used in a series of exhibitions to mark the war's centenary. The Great Hall in the university was used as a hospital during the conflict. The university now has one of the largest war studies departments in the country. 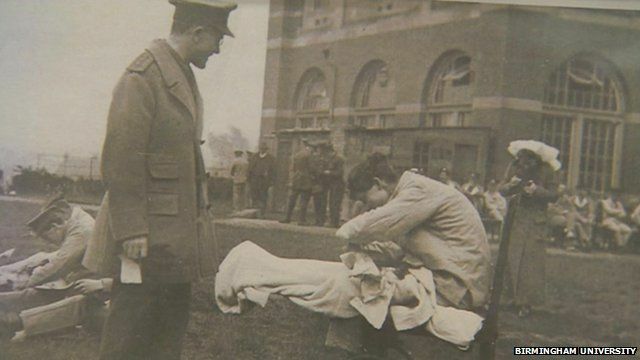 Susan Worrall, director of the university's Cadbury Research Library told the BBC's Cath Mackie that people are still bringing them archive material from the war.